MopDog: Share a kiss with whut now?! Share a kiss with whut now?! If you are familiar with Coca Cola's #KissHappiness and #ShareaKiss campaign, you probably know that it is an endless source of hilarious memes, as well as a great mess in all grocery stores (since it makes people dig around to find specific names, and spill bottles everywhere). Since Hungarian language changes the form of the subject of a sentence, instead of just putting names/words on the bottles, they would have to put their subject forms, and that's not fun for anyone. (Example: Instead of "Csenge" which is my name, the bottle would say "Csengével"). 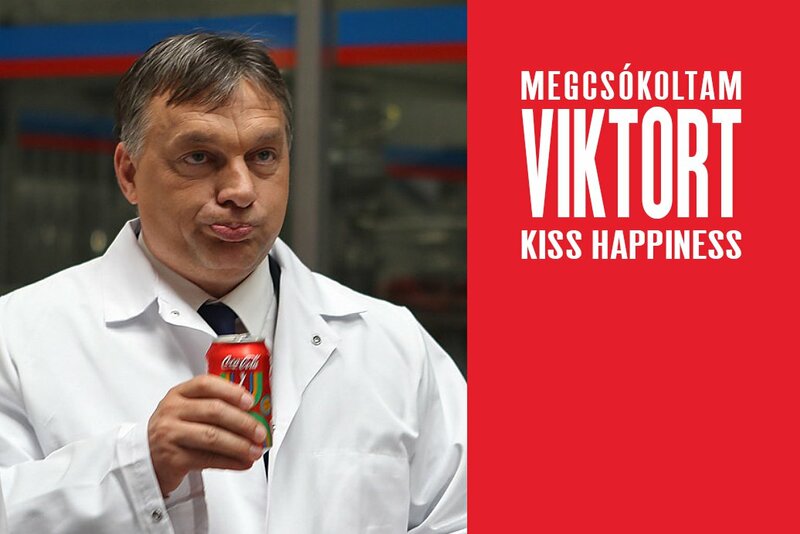 So now the slogan in Hungarian says: "A kiss for you too, [...]" It sounds awkward. On the upside, we already have a meme version of the poster that says "I have kissed Viktor"
Because our glorious leader needs to be on every wall. Well, at least you'll get some amusement from it. spori means teammate - sporttárs! I learned something new today. I feel old. Zalka Csenge Virág, storyteller, author, blogger, other things. Made in Hungary. I am a person. Not affiliated with any organization, political party, government agency, or secret society. Oh wait, I have a library card.